The building in which the Melrose Grill resides was established in 1901 and has served as a tavern since the days of the horse and buggy. It also operated as a pool hall, soda shop and card room during Prohibition. Recently restored, Melrose Grill kept its historic roots with the original mirror-backed bar with its rich, dark woods. The walls showcase vintage photos that highlight the transitions this grand building has gone through. With wainscoting on the walls, low-slung lamps and high ceilings the space feels as open as the West was when it was built. The Food and Service at Melrose Grill will amaze and delight your senses. We work hard to provide our customers with the finest foods available, and prepare them in a way that will tame even most particular palate. Voted #1 Steakhouse in Western WA by King 5 & Evening Ma. Dinner: Monday - Thursday: 5:00 p.m. - 9:00 p.m.
Friday - 5:00 p.m.-10 p.m.
Saturday: 4:00 p.m. - 10:00 p.m. The back of the restaurant holds a maximum of 32 people. It consists of 2, 6 top booths and 3 other tables that can be moved around to accommodate the party. You can park in our private lot on the west side of the Melrose or there is a public lot on the east side of Wells Ave S. Also street parking available. Renton Transit Center is 5 blocks away. Shared Entree - $2.50. Parties of 10 or more. Onion relish and balsamic syrup. Crispy garlic croutons and parmesan cheese. Our steaks come from the highest quality corn-fed midwest beef. Hand selection and 28 day custom aging ensures simply the very best flavor and tenderness. Steak is served with garlic mashed potatoes, baked potato, crispy parmesan potatoes, or basmati rice pilaf and fresh vegetables. All entrees come with a fresh green salad with your choice of blue cheese dressing or balsamic vinaigrette. You may substitute a small caesar or spinach salad for $3, or tomato & blue cheese for $5. 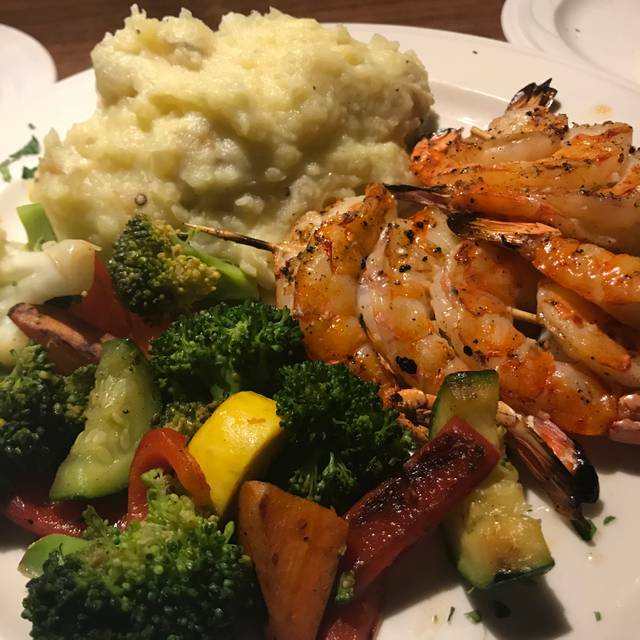 Jumbo prawns grilled with garlic butter, served with basmati rice pilaf and fresh vegetables. 8oz salmon filet, pan seared and topped with vodka dill cremé fraiche, served with basmati rice pilaf and fresh vegetables. Pork tenderloin medallions sautéed with a wild mushroom and peppercorn cream sauce, served with crispy parmesan potatoes and fresh vegetables. A center cut chop filled with candied pecan stuffing, topped with apple cranberry relish, served with garlic mashed potatoes and fresh vegetables. 10 oz. chicken breast stuffed with goat cheese, spinach, roasted garlic, kalamata olives and toasted almonds. Served with garlic mashed potatoes, fresh vegetables and balsamic cream sauce. An assortment of locally made sausage grilled and served with sauerkraut, stone ground mustard sauce, garlic mashed potatoes, and fresh vegetables. If you want a great steak at a great price, this is the place to come!! Not only do you get the steak. But you get salad, potato, vegetables, and a roll all for one price!! And just as good of not better than the Seattle steakhouses! Plan ahead. And make reservations!! It is such an enjoyable place to dine. The staff is always friendly and the servers make it so interesting. Discovered Melrose about six years ago, and never get tired of going there. The food and service were excellent. I had made a reservation was 45 minutes to get seated I wondered if walk in parties got seated sooner. Seemed a lot of large parties when we were just a party of two. Once seated everything was amazing. I have been several times here for dinner and have always loved their food. Tonight was a completely different experience. My steak was over cooked, the sautéed mushrooms were shriveled and so dry. My salad was the only thing good. I don’t know what has changed but I was Very disappointed. Fantastic. Really helps to get reservations for sure. Our favorite restaurant. Always enjoy our experience at the Melrose Grill. Always so good! The Melrose is always my favorite restaurant! Valentine dinner. Would have been nice to have special side menu for Valentines. Felt a little rushed but know stacked reservations. They are the best in every way . Dinner for six. All parties were extremely happy with both the food and the service. Have eaten at the Melrose Grill the past on numerous occasions. This review is based those dinning experiences. I have reservations for dinner for two on 2/11/19. I would like to let your followers to know that a major snow storm hit the greater Seattle area dumping over a foot of snow in the area. I received an E-Mail notification (As I am sure other diners did) from the Melrose advising that out of concern for the safety of their staff and guests they would not be open that evening for diner. I greatly appreciate the notification from the restaurant as I think many other are also. To me it shows that the management is professional and puts the safety of others before their business. I will be rescheduling my reservations, and will continue to dine at the Melrose Grill in Renton. Great food great value and great service. 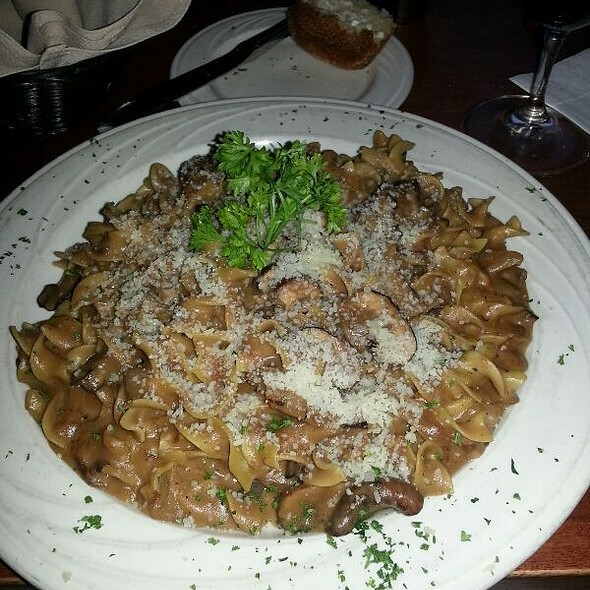 The food at the Melrose Grill is excellent best beef stroganoff I've had. We love this place, and had the pleasure of introducing another couple to it! They are "John Howie" type so, we were worried they would be comparing it. Visit was successful, and they loved it! Best porterhouse around and at a fair price. We come once or twice a year for the porterhouse as a special meal and it has become our tradition. Great staff also. You do need to make reservations well in advance so plan you next visit ahead of time. Excellent food here every time. 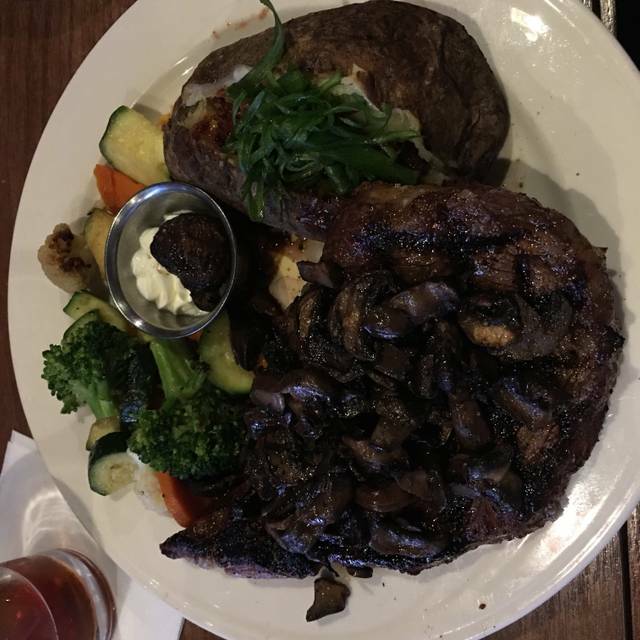 Seasonal items are great but the Delmonico steak is flat out amazing! Love this place! Excellent food, service and we come here 1x/week! Excellent, as long as you don't stay past an hour. Staff will continue to ask "anything else " every 5-10min. I do have one negative critique...we sat close to the area where the servers pack leftovers and I noticed that they were re-using the dinner rolls....meaning that when the diners did not eat them from the basket, they would put them back in the warmer drawer, I suppose to serve them to other diners? If that is the case, I find the practice unacceptable because we don't know if the other diners touched the rolls with unwashed hands with the intent to eat them but did not...if they are placing uneaten rolls in the bread warmer for other reasons (which I hope that is the case) than to serve them to other diners then I have no issue. My wife and I have been coming here throughout our whole marriage. 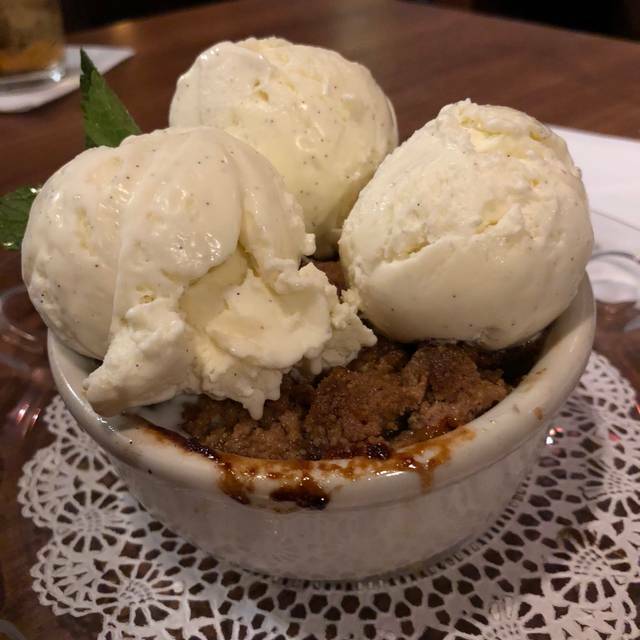 It is always delicious and the service is the perfect amount of table time. Great place for a special dinner out with someone you love. Amazing service amazing food definitely coming back. Friends had recommended this place - and said reservations are a must - and it did not disappoint. The steak was perfect and the service was outstanding. 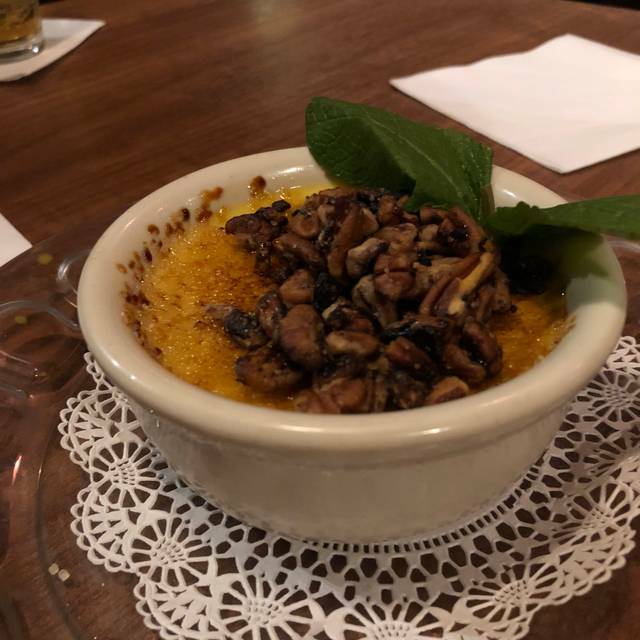 I mentioned in the reservation that it was a party member's birthday, and the server brought his desert with a lit candle, which was a special touch. This'll definitely be my special occasion place in the future. We had reservations and were seated immediately. I decided to try something different and opted for the starter spinach salad and the scallops which was one of the specials for that night. 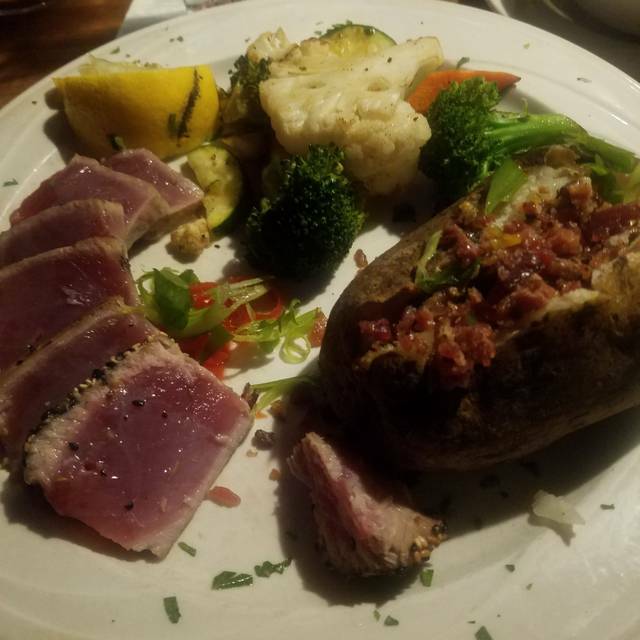 My friend had the filet mignon and crispy potatoes and couldn't stop raving about the dinner. Everything was delicious. If you haven't been to Melrose, it's worth the trip! A perfect place for a birthday and steak. I would highly recommend for any occasion. TOO loud and cold sitting by door. When we made the reservation we told them it was for a birthday. As we walked out the door the hostess said Happy Birthday. Little late don’t you think. My most favorite place to bring out of town guests! Lisa was our server again! Moved away and always return! It’s great to have your expectations met! Lisa was with us for our last 3 visits (over2 years) and remembered the crew! She was excellent! I have been to the Melrose several times and it was excellent. I went recently for my birthday. 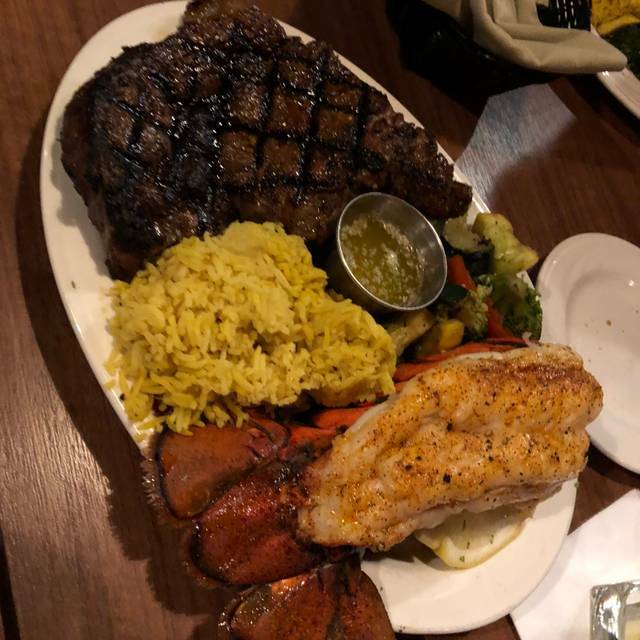 The steak was absolutley perfect like usual the service was fantastic. However this time I tried the lobster and ut was horrible. It was cheey and way to salty. 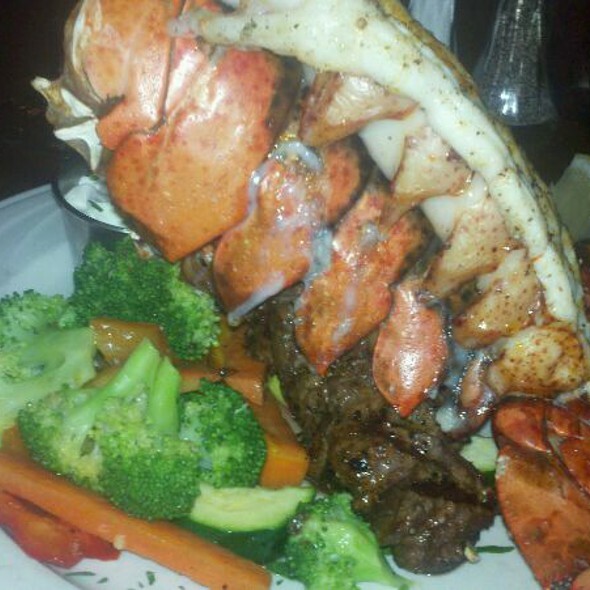 I will go back but I eill never order the lobster again. I've been here 3 times in the last 6 months. Every time was great! The food was great! The service was great! The Melrose has quite a few delicious meal choices, but I come for the steak. It's perfectly delicious every time. The food and service at Melrose is great! 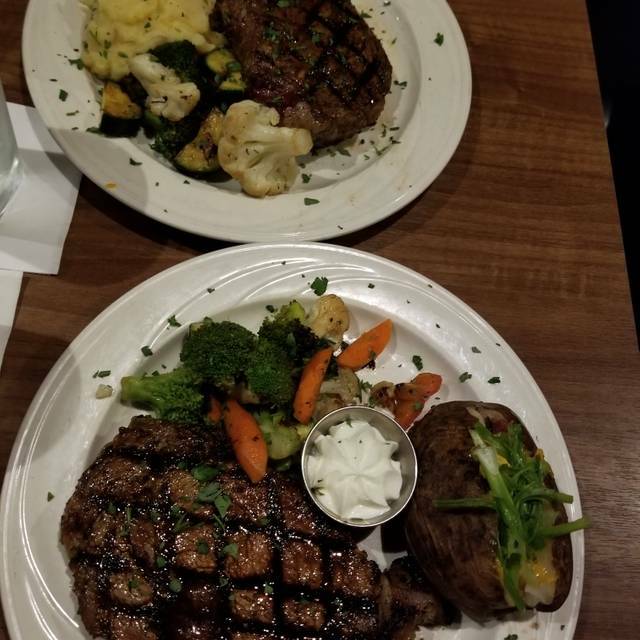 The steaks are the best we’ve ever had and lots of great side options! Recommend having a reservation and give yourself plenty of time to find parking! Everything was great except being seated without our entire party present. We had reservations and half of us arrived early and the other half was going to be about ten minutes late and weren’t allowed to be seated. I understand if we didn’t have reservations but after working all week getting started with a drink would have been nice.